Generate, edit, and publish an MLA Works Cited list that complies with the rules of the current MLA Handbook. NoodleTools takes care of punctuation, alphabetization and formatting, producing a polished source list for import into MSWord or Google Apps. Allows you to search all of the media center materials at Bonnie Branch and at other schools in Howard County. Provides access to thousands of encyclopedia, magazine, and newspaper articles as well as primary source documents, biographies and photos. A fully integrated database containing thousands of curriculum-targeted primary documents, biographies, topical essays, background information, critical analyses, and full-text coverage of over 1,000 magazines and newspapers. A comprehensive online interface providing integrated access to thousands of full-text articles, documents, and graphics from SIRS Researcher, SIRS Government Reporter, and SIRS Renaissance. Thousands of full-text articles from domestic and international sources exploring social, scientific, health, historic, business, economic, political and global issues are available. Provides full-text articles and images from over 1,000 newspapers, magazines, and government documents, focusing on Pro/Con issues. An excellent source of reliable, easy to understand information for students. World Book Online offers all the features of the print encyclopedia plus links to maps, web sites, and other print articles. 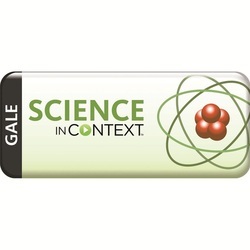 An in-depth, curriculum-oriented science database that provides a one-stop resource for all science-related research needs. This resource reflects curriculum trends and focuses on key concepts taught in school classrooms such as earth science, science history, life science, physical science, science and technology, space and much more. A comprehensive research database that provides easy access to a multitude of full-text science-oriented content. 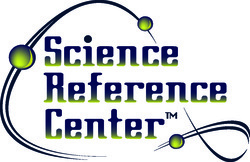 Designed to meet every student's science research needs, Science Reference Center contains full text for hundreds of science encyclopedias, reference books, periodicals, and other sources. Science Reference Center also satisfies the demand for standards-based content by providing teachers and librarians with articles correlated to state and national curriculum standards. From the explorers of the Americas to today's headlines, American History investigates the people, events, and themes of our nation's evolution. Using primary and secondary sources to integrate American politics, science, culture, philosophy, and economics, this authoritative database explores the ongoing development of the United States. Concise, reliable, and up-to-date country reports on over 200 cultures of the world. It goes beyond mere facts and figures to deliver an insider's perspective on daily life and culture, including the history, customs, and lifestyles of the world's people. Full text for more than 1,620 reference books, encyclopedias and non-fiction books. 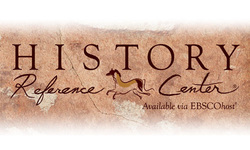 The database also includes full text for more than 150 leading history periodicals Further, the database contains nearly 57,000 historical documents; more than 78,000 biographies of historical figures; more than 37,000 historical photos and maps; and more than 80 hours of historical video. Features more than 5,000 hand-selected primary and secondary source articles highlighting key events, movements, people, and places in 20th-century America. Coverage includes documents, letters and memos, editorial cartoons, streaming video, websites, photographs, maps, advertisements, and published articles.